Ms. Masotti received her Bachelor of Science in Biology from Purdue University followed by her Masters of Science and Physician Assistant degree from the University of Saint Francis. She has been practicing in the field of adult and pediatric neurology since graduating in 2005 with one year of specialized training in pain management. 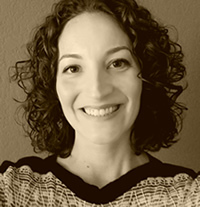 Ms. Masotti's interests include migraine, pain syndromes, ADD/ADHD and epilepsy. She is certified in the use of vagus nerve stimulation therapy (VNS) for the treatment of refractory, or difficult to treat, epilepsy. Ms. Masotti is a Fellow of the American Academy of Physician Assistants and a Member of the NC Academy of Physician Assistants.